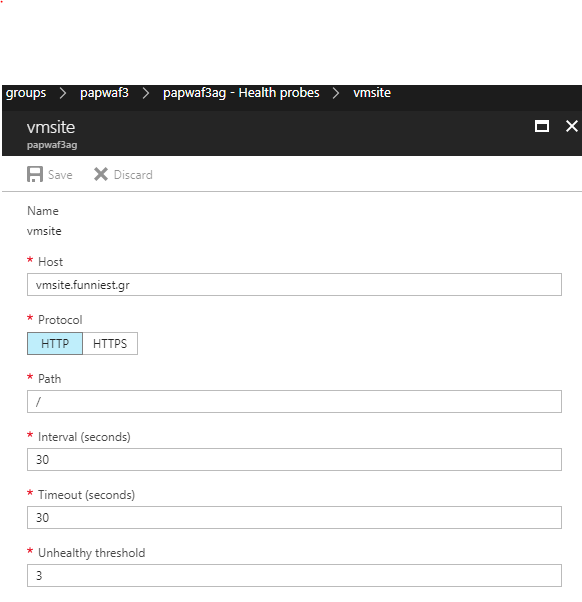 We can add the Application Gateway Web Application Firewall to protect our Azure Web App (PaaS) and our Web Application inside a VMs web server (IaaS). At this post we will see how to protect them both. 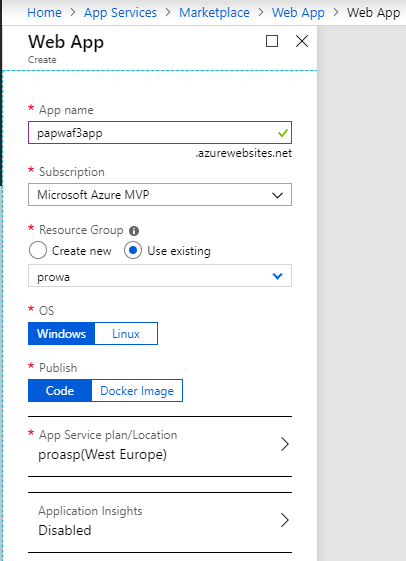 One difference in order to fully protect the Azure Web App (PaaS) is to integrate the App Service to a Virtual Network (VNET). 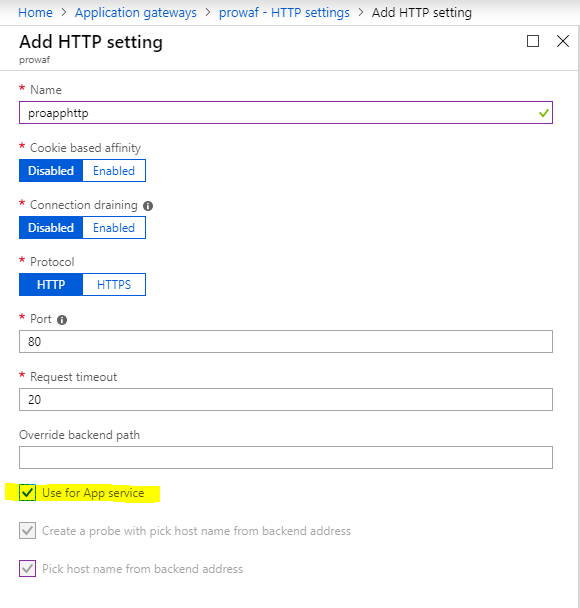 In order to integrate an App Service to a Virtual Network it requires a Standard, Premium, or PremiumV2 pricing plan and requires the Virtual Network to have a Virtual Network Gateway that is configured with Point to Site VPN. 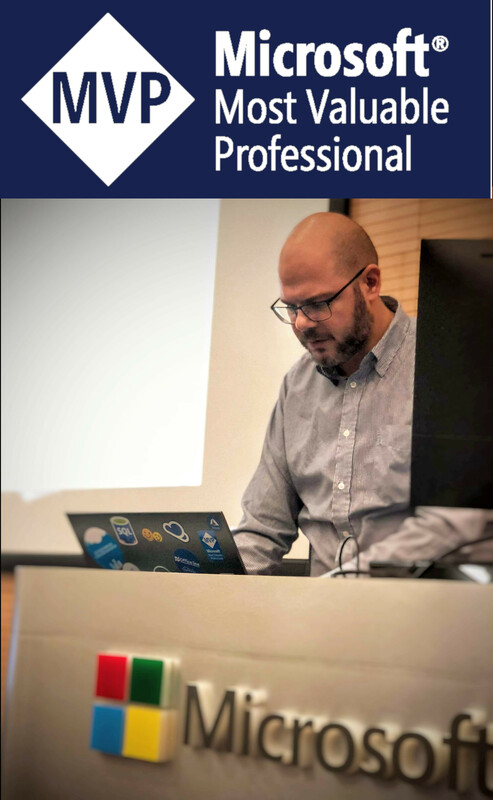 First things first, create a VNET. 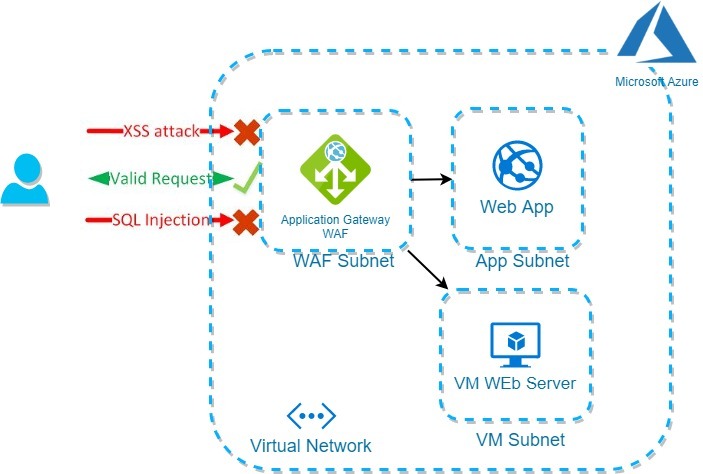 The VNET must have at least two subnets. 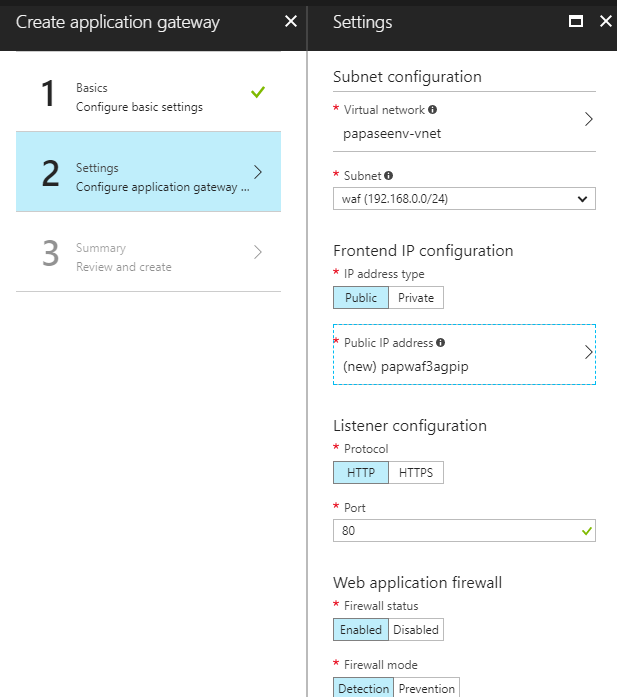 One subnet to deploy the Virtual Machine that we will use to publish an IIS Application and one dedicated for the Application Gateway WAF. Lets create the Secure public entry point for our Web App. 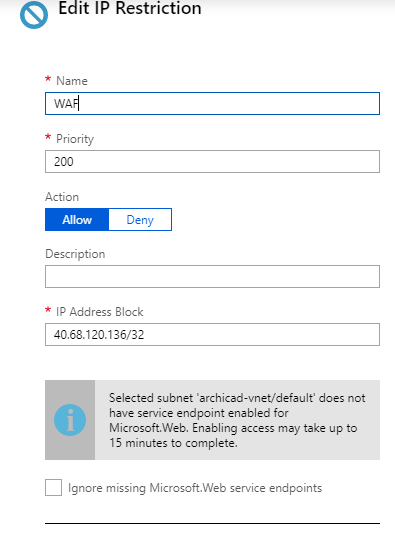 Create an application gateway, select WAF Tier, select the required SKU, add it to the WAF subnet we created before, select Public IP configuration and WAF enabled. 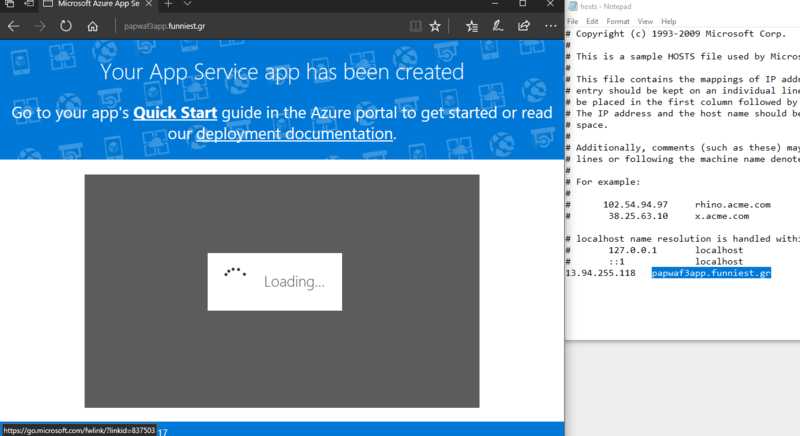 When the Application gateway is ready we need to do some configuration. 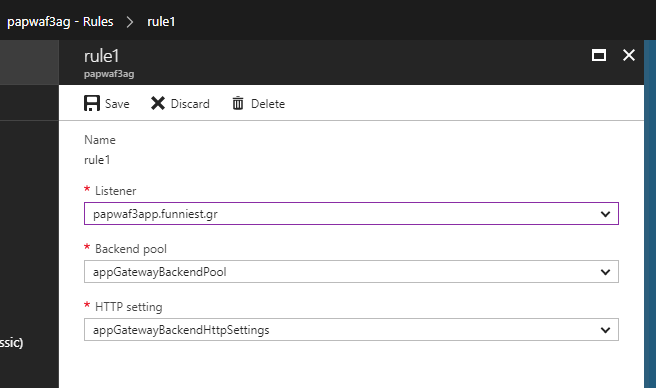 First at the Backend pools, open the default created backend pool, select “App Service” and browse to the required web app. Then add a health probe. For host add the FQDN of the Web App. And that’s all. Now we can try our Web App from the Internet. 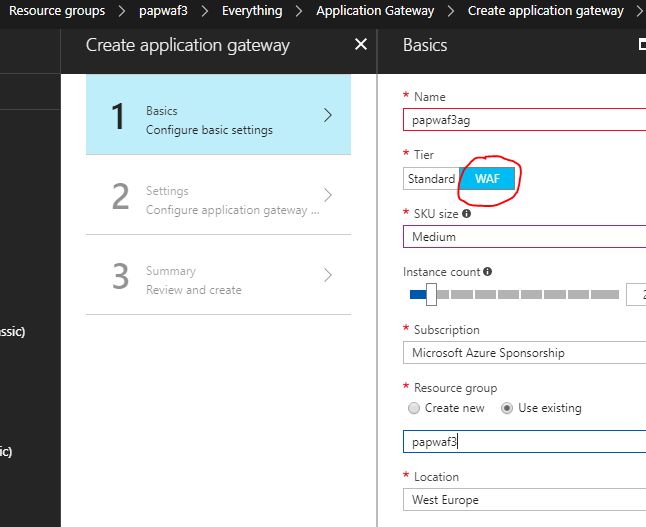 In order to do so we need to browse to the Web App’s URL, that is now published by the Application Gateway, from the Internet. 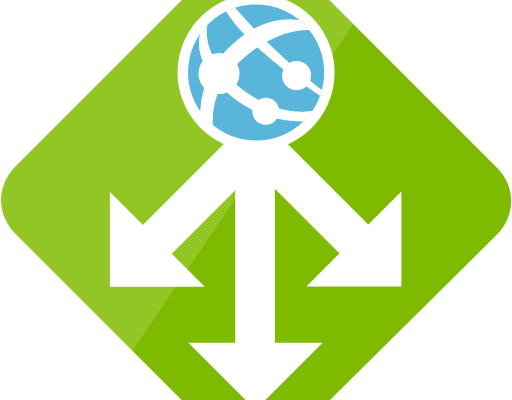 So, we need to create a Public DNS record to point the FQDN to the Application Gateway’s FQDN. In this case we need to crate a CNAME papwaf3app.funniest.gr to point to the 8b0510c1-47e9-4b94-a0ff-af92e4455840.cloudapp.net. 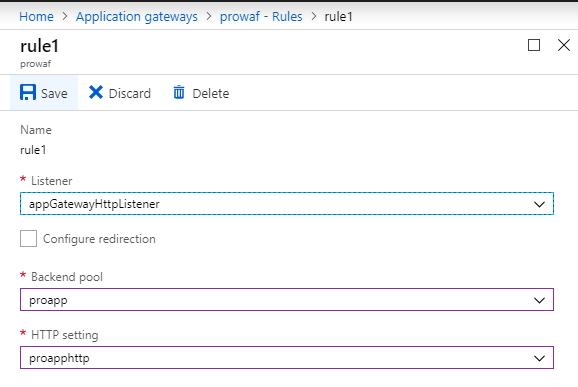 In order to test the app right now we can just add a host file to our computer pointing to the Public IP Address of the application gateway and we can access the Web App behind the WAF. 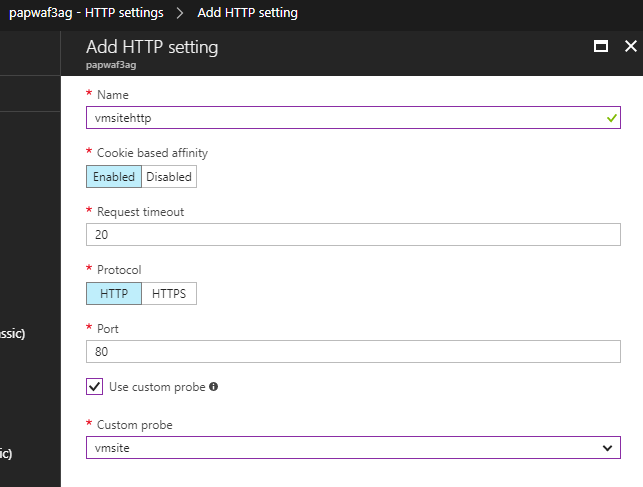 In order to be able to see the Application Gateway and Web Application Firewall logs we need to turn on diagnostics. 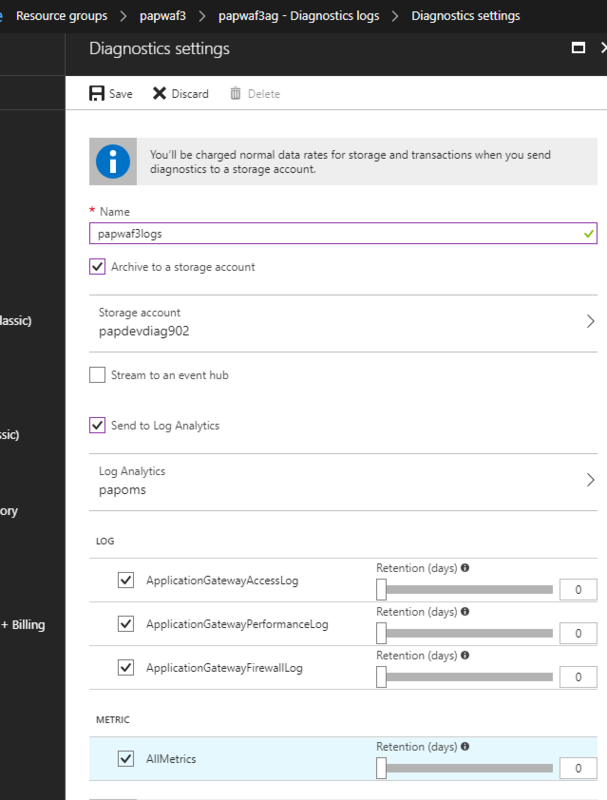 The easiest way to see the logs is by sending them to Log Analytics (OMS). With the Firewall at “Detection” mode, if we try an SQL Injection (?id=10||UTL_INADDR.GET_HOST_NAME( (SELECT user FROM DUAL) )–), the Web App still servers the landing page. 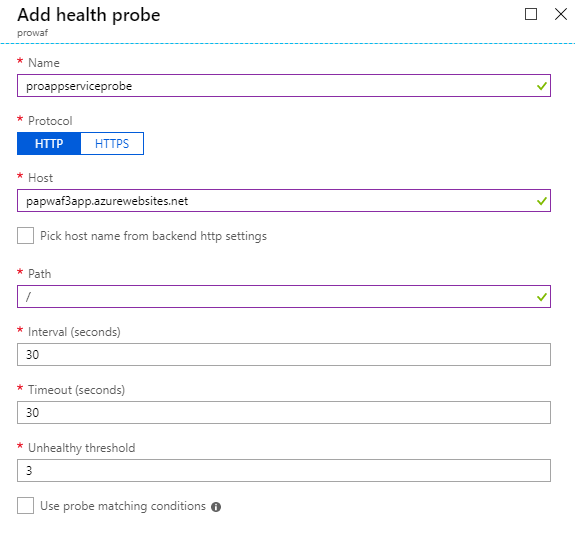 By switching the Firewall to “Prevention” mode, the same SQL injection attach stops by the WAF before accessing our Web App. 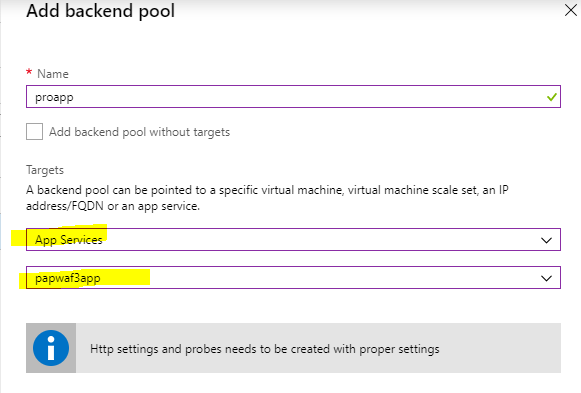 To add a Web Application that runs inside a VM behind the Application Gateway Web Application Firewall, first add the VM as a Back End Pool. 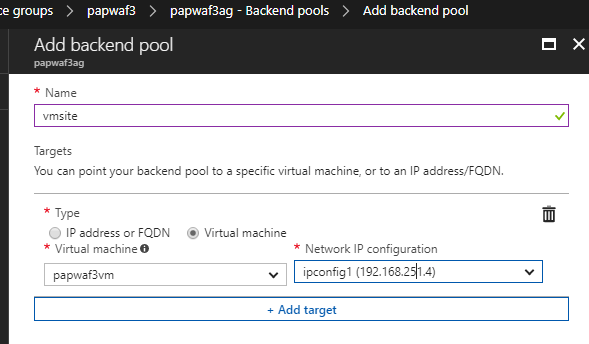 Create a new Backend Pool and select “Virtual Machine”. 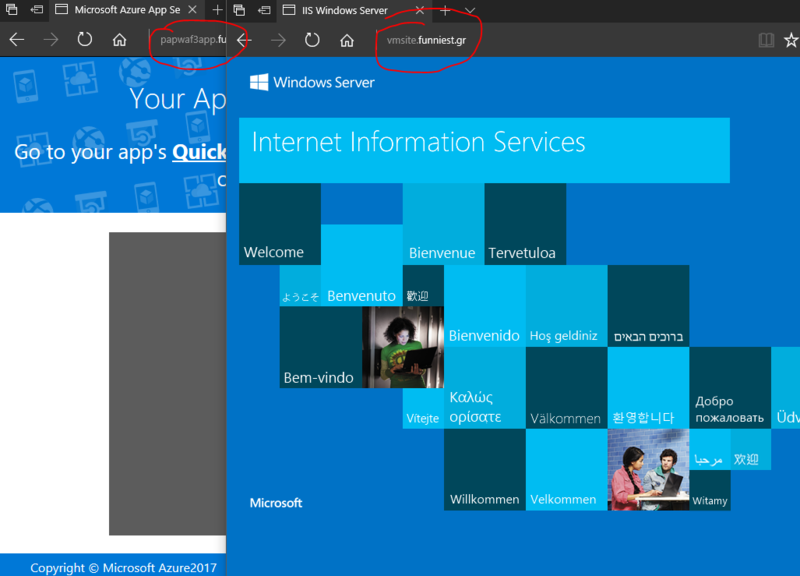 Select the Virtual Machine that runs the Web Application.